(ICS) Faculty of Information and Communication Sciences - University of Information Science & Technology "St. Paul the Aposle"
The study program in Information and communication systems for business and management in first and second study cycle is also implemented at UIST. The content of the study program includes various courses such as: Fundamentals of Economics, Management, Stochastic Processes, Databases, Algorithms, Theory of Decision Making, Cognitive Science etc..
With the completion of this study program, students will learn the basic concepts of economics, management, statistics, mathematics, entrepreneurship and business intelligence. They will be able to apply these concepts in modelling real situations in 1,2,3 dimensions. They will acquire knowledge in programming while studying more advanced techniques and concepts of programming. Also, with the completion of this study program, students will understand the concepts of designing algorithms, to operate with different data structures, as well as creating and managing databases. Furthermore, the students will be able to use applications related to the disciplines as probability, descriptive and theoretical statistics and their use in specific areas related to IT. While studying the courses such as software engineering, quality control and assurance, the students will be introduced to the possibility of reaching higher cognitive levels and look at the information science from different aspects. The University of Information Science and Technology “St. Paul the Apostle” offers the next type of degree program. 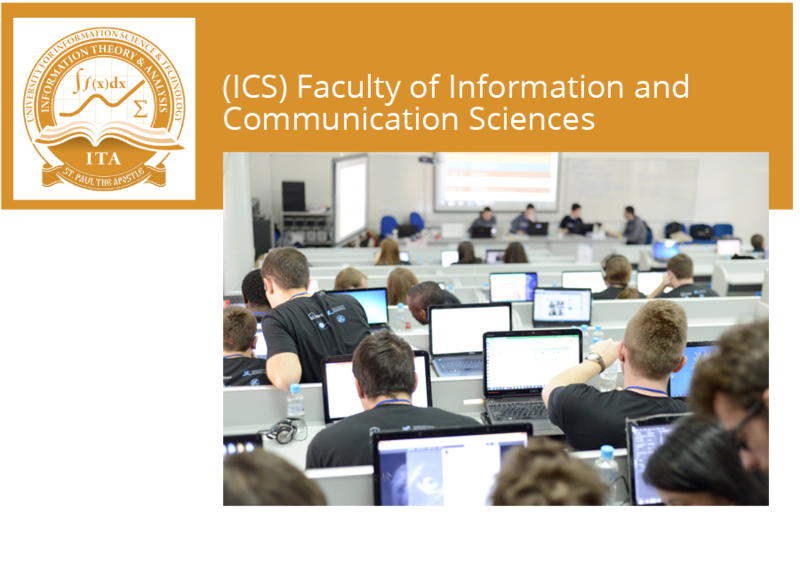 After completion of 4 years of studies, with at least 240 ECTS credits, students will get a degree of Bachelor of Science in Information Science and Technology in the field of Information and communication systems for business and management.